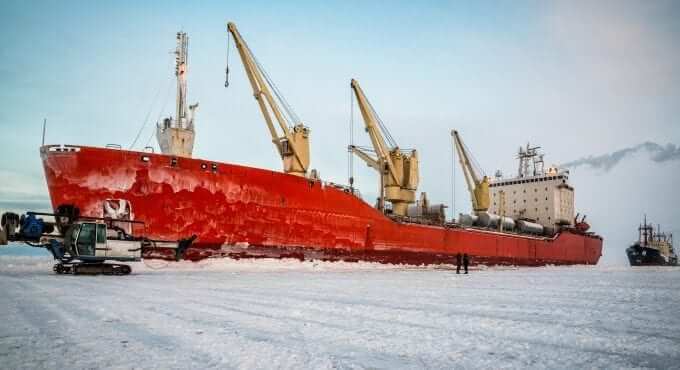 A red icebreaker stands on unloading in the ice of the Arctic. The financial risks of owning and running a commercial cruise liner can be huge and specialist insurance is required to ensure maximum coverage for any eventuality. Fortunately, for one cruise operator, our V.Scope insurance team gave them the understanding and skill they needed to maximise an insurance claim. Following heavy damage from an onboard fire, the owner of a 635ft, 23,149 tonne, 714 passenger cruise liner had not been informed by their existing insurance broker about the opportunity to recover serious financial losses after the event. With those losses due to cruise disruption, the cost of returning passengers back to their home countries and the reimbursement of every cruise ticket sold meant the financial impact heading their way was substantial. Looking to recover as many costs as they could, the owner looked to our V.Group insurance division, V.Scope, for help and guidance in doing so. Being part of V.Group, V.Scope not only understand the wide range of insurance coverage needed for different vessels and different claims, but also the shipping industry in its entirety. Armed with that information, a team of maritime insurance and claims management experts were on hand to provide our customer with a deep knowledge and comprehension of insurance terms and conditions. Simplifying the process and the language used for our customer, as well as offering our experience of handling complex passenger claims, a thorough V.Scope analysis of the losses in total allowed for more focussed negotiations with the P&I club to start the process of financial recovery. Such in-depth knowledge and expertise is not generally accessible to smaller cruise operators without their own in-house insurance experts. By using the services of V.Scope, the cruise operator and vessel owner was able to recover a significant sum of their losses, which they may not have been able to do otherwise.